The final jury is composed of five international personalities from the institutional, artistic, curatorial media and editorial world. This jury of image professionals will gather in Vevey from May 3 to 5, 2019 to examine the projects submitted for the Grand Prix Images Vevey and the Images Vevey Book Award. Prizes include some CHF 50,000 in creation-support grants and the opportunity to be featured at the next Festival Images Vevey in 2020. Dayanita Singh is an artist whose practice unfolds around two fundamental aspects of photography: publishing and exhibition. Her recent works, drawn from her extensive photographic oeuvre, are a series of mobile museums that allow her images to be endlessly edited, sequenced, archived and displayed. Internationally renowned, her work has been presented at the Tokyo Metropolitan Museum of Photography (2018), the Fotomuseum, Winterthur (2018), the Barbican Centre and the Tate Modern, London (2017), the Seattle Art Museum (2014), the Venice Biennale (2013 and 2011), among others, at the Centre Pompidou, Paris (2011), at PhotoEspaña, Madrid (2011), at Huis Marseille Museum for Photography, Amsterdam (2010), at the Serpentine Gallery, London (2008), at the Gwangju Biennale (2008), at the Rencontres d’Arles (2007) or at the Kunstmuseum, Berne (2007). 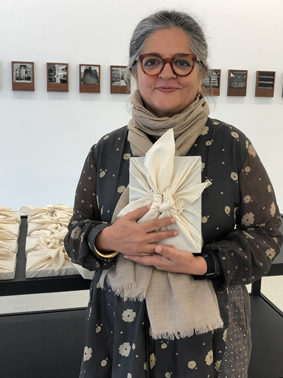 In 2008, Dayanita Singh was awarded the Prince Claus Prize, Amsterdam. Publishing is also an important part of the artist’s practice: in nearly thirty years, she has published twelve books, most of them with the leading German publisher Steidl. 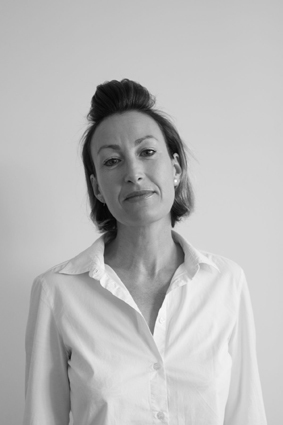 Emma Bowkett is Director of Photography at Financial Times FT Weekend Magazine since its launch in 2010. In 2018, she curated the Hamburg Triennial of Photography and Peckham 24 in London – a contemporary photography festival organized in parallel with Photo London – and co-curated the Suffolk Biennale of Photography, PhotoEast. Emma Bowkett is a guest speaker and regularly participates in readings of international portfolios, festivals, fairs and photography competitions. She is part of Magnum’s Professional Practice programme, was a guest professor at the master classes organized by FOAM in 2014 and Fabrica in 2015. Emma Bowkett won the first Firecracker Contributors Award, which recognizes women who have had a significant impact on the photography industry and who were elected by professional photographers in 2015. 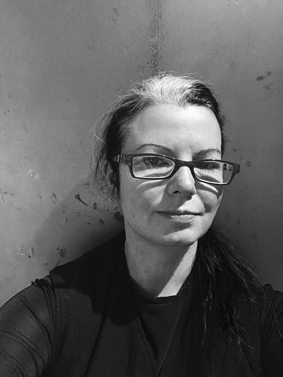 Creative Director of the Aperture Foundation, Lesley A. Martin is the publisher of the biannual journal The Photobook Review since 2011. Her writing on photography has been featured in publications such as Aperture, Ojo de Pez, FOAM and IMA Magazine. Lesley A. Martin has edited more than a hundred photographic books, including Aperture Magazine Anthology: The Minor White Years, Rinko Kawauchi: Illuminance, LaToya Ruby Frazier: A Notion of Family, Stephen Shore: Selected Works, Zanele Muholi: Somnyama Ngonyama. In 2012, she co-founded the Paris Photo-Aperture Foundation PhotoBook Awards. Martin is currently a visiting critic at the Yale University School of Art. 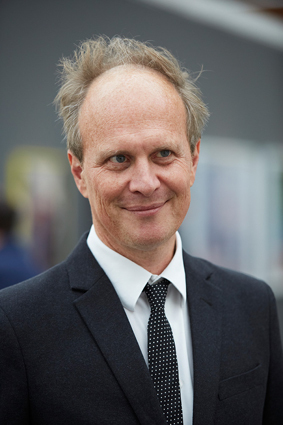 After having been a collaborator and then director of the Schipper & Krome Gallery, then Esther Schipper, in Berlin from 1997 to 2012, Christoph Wiesner was appointed director of the Yvon Lambert Gallery in Paris. Since 2015, he has been the artistic director of the international art photography fair – Paris Photo. In collaboration with Florence Bourgeois, Christoph Wiesner is working to set up new sectors, such as PRISMES, Curiosa and Films. He regularly takes part as a jury member in prestigious photo competitions such as the BMW Residence, Carte Blanches Etudiants or the Paris Photo–Aperture Foundation PhotoBook Awards. Exhibition curator at CAMERA -The Italian Centre for Photography in Turin, from 2015 to 2017, Francesco Zanot was the curator of exhibitions and books by artists such as Boris Mikhailov, Francesco Jodice, Erik Kessels, Linda Fregni Nagler and Domingo Milella. His work has been published in the pages of numerous theoretical and historical journals. He is the co-author of Ping Pong Conversations, a long interview with American photographer Alec Soth. 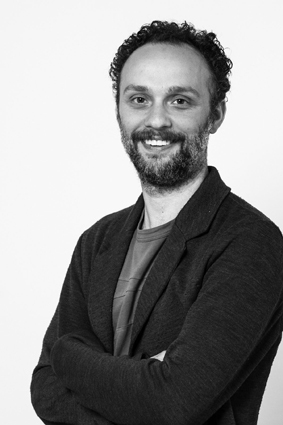 Director of the Master of Photography at the New Academy of Fine Arts in Milan (NABA), Francesco Zanot has also given lectures at prestigious institutions such as Columbia University in New York, ECAL/Ecole Cantonale d’Art de Lausanne or IUAV/The University Institute of Architecture in Venice. Associate Editor-in-Chief of Fantom, he was curator of the inaugural exhibition Give Me Yesterday at the Prada Foundation in Milan.